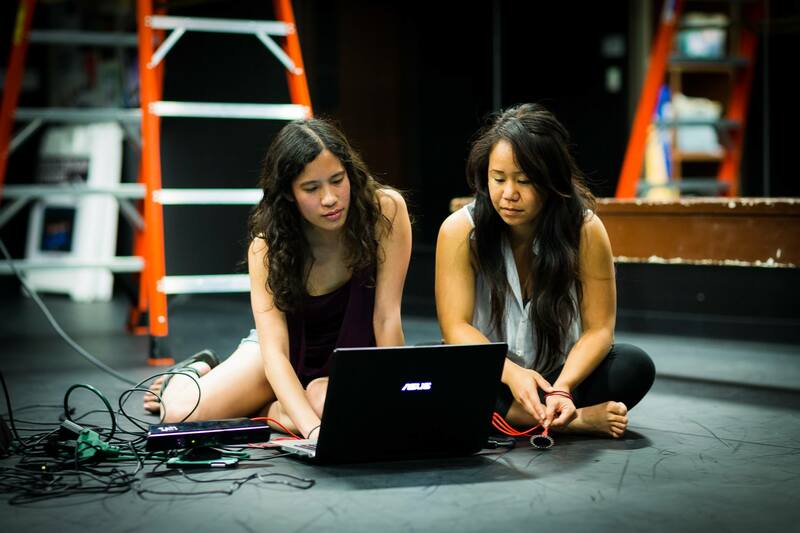 Submerged is an interactive dance performance that focuses on providing the dancer an immersive environment to influence and explore. The environment consists of three panels of fabric, three platforms, and an interactive projection reminiscent of water. The panels are layered at varying depths of the stage, allowing the dancer to be completely surrounded by the projections. The boxes provide the dancer vertical height while giving her the illusion of floating. The technology includes an interactive costume and visual projections. 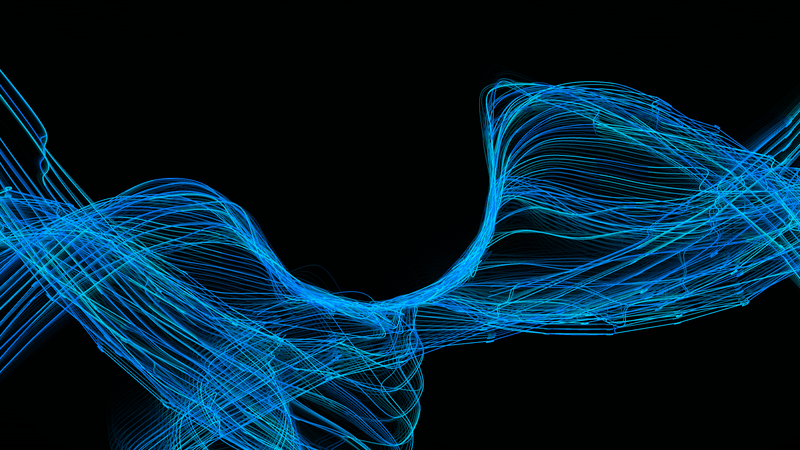 The visualization was created in Processing. It utilizes a springy mesh particle system with external forces which are manipulated by Kinect and LilyPad Arduino data. 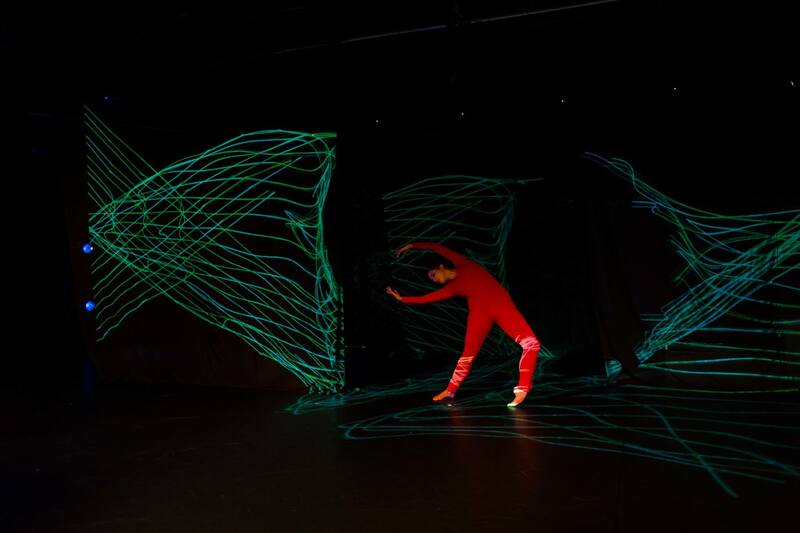 Position data from the Kinect allows the program to map a repulsion force at the dancer’s location, further framing the dancer in the negative space of the mesh. The dancer’s costume has two Lilypad accelerometers placed on two limbs: an arm and a leg. This data dictates the position of two additional attraction forces to pull the nodes of the visualization system to add further movement. The flow of the waves then becomes an extension of the dancer’s body. I was solely responsive for the generative art projection and Kinect motion detection. Here is a video demonstration. (Note: the screen capture slowed down the frame rate of the actual visual). Here we are testing out the Processing sketch with the costume!! Janelle and I are setting up before the performance. Final piece featuring the gorgeous Noemi Amaro.